The ride to Taipei wasn’t too pleasant. When we hired a cab from Taipei HSR station to the nearby hotel, the taxi driver was obviously infuriated by the short distance (less than 10 mins ride) that wasn’t able to justify his time and effort spent at the HSR station. We were asked to alight at the opposite of the road with 4 big luggage and to cross the busy street ! 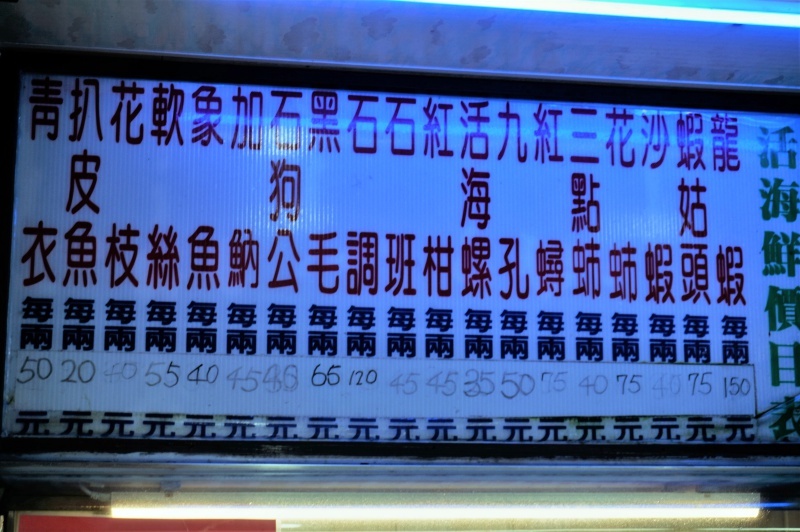 ‘我不想载你们’ literally meant ‘I don’t feel like picking up you folks’ was commented just before reaching the hotel. We were completely dismayed with his ill remark which is a big disparity in attitude when compared to the friendly Taxi drivers we have met in Taichung city. Hope he was just an exception and not representative of the majority of the Taipei taxi drivers. Our first plan in Taipei is to visit Yang Ming Shan 阳明山, but we were disrupted by the bad weather and had to change plans, so we decided to head to Keelung directly instead. Keelung 基隆is a major port city situated in the northern part of Taiwan. Nicknamed the Rainy Port for its frequent rain and true enough, it was drizzling when we reached the port. The Yehliu Geopark is the key landscape here characterised by its honeycomb and mushroom rocks eroded by the sea, we had visited the park several times in the past and decided to give it a miss this round. However, we will never miss the dried grilled cuttlefish that selling at the stalls just outside the park, the shredded grilled or bbq cuttlefish is always our top favourite here for taking away, fresh and full of flavour with excellent texture, a big thumb up! 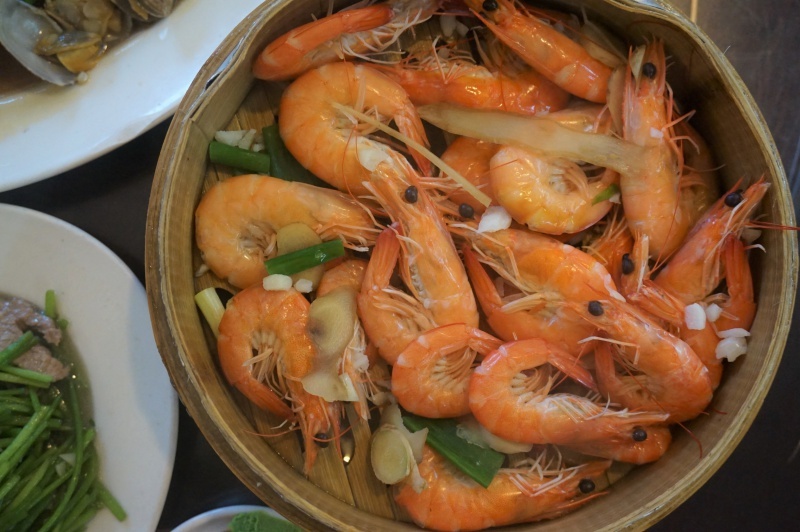 Keelung 基隆 is a fishery port and fresh seafood is abundant here, naturally, seafood stalls and restaurants are everywhere and you can be spoiled with choices. 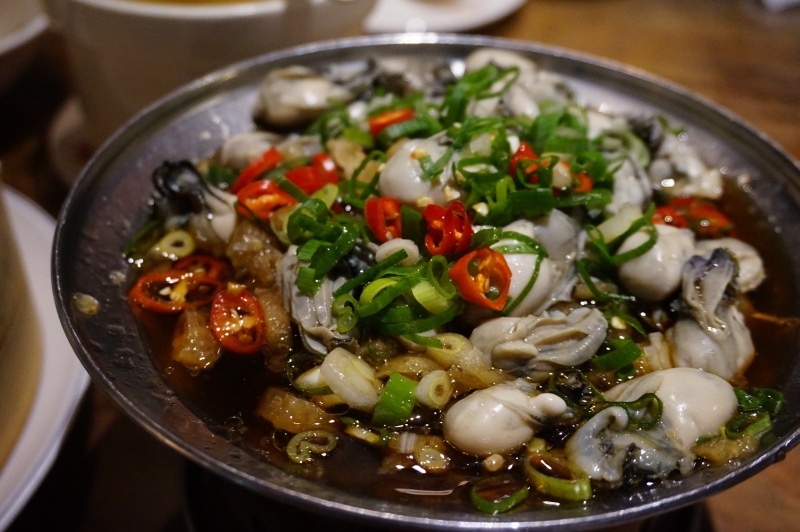 In the end, we took the recommendation from our driver and opted for the Jin Fen Cui Seafood Restaurant – 金翡翠活海鮮. 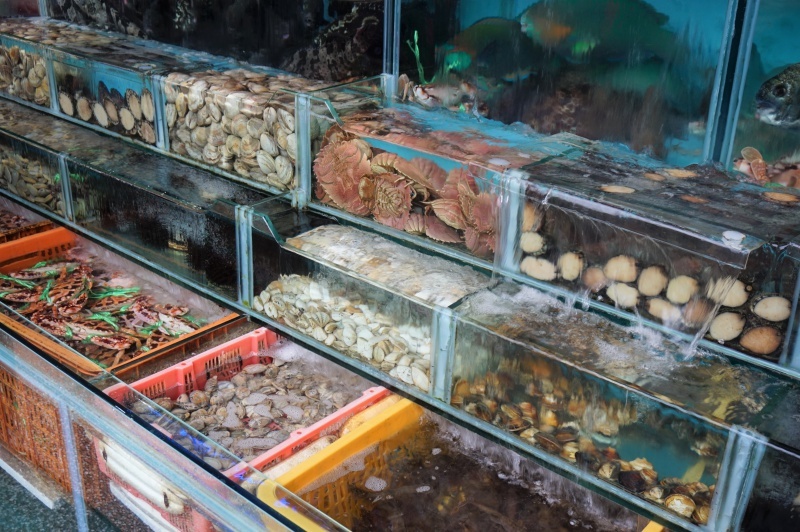 Large assortments of live seafood are on display in the tanks, you make the choice and the service crew will weigh the catch and check with you if the price is acceptable before delivering to the kitchen, price may not be cheap here but we decided to give it a try hoping that the quality and freshness can justify for the price commanded. 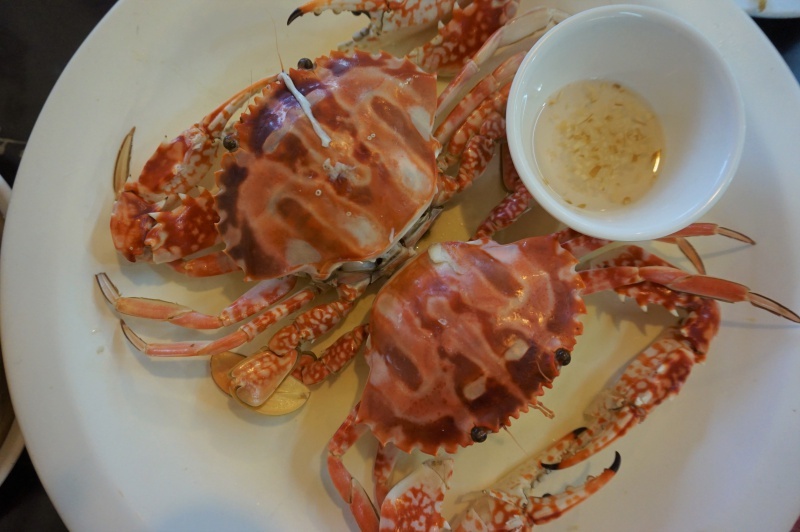 We tried the local favourite crab, it was fresh and sweet but not too meaty, may be not the right season to eat this crab. Not the ordinary cuttlefish but a premium version (can’t remember the name) strongly recommended by the service crew to try. 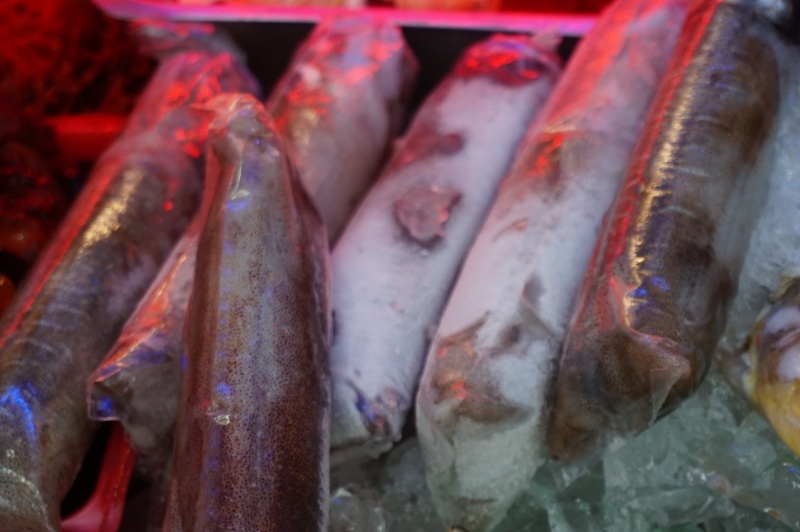 The cuttlefish was wrapped in the plastic bag in a tube form and frozen. 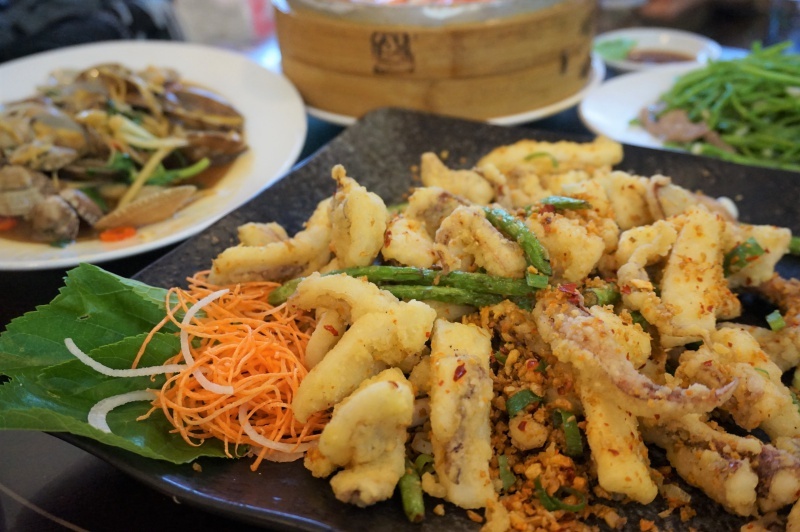 We have to acknowledge that the deep fried cuttlefish was far superior in the texture and taste compared to the ordinary version. Definitely worth the try in your next visit here. Fresh and sweet prawns but small in size. Mussel is the most common shellfish food available in many of the local eateries; the freshness of the grit mussel was delicious. Love the taste from the light soy sauce and flavour from ginger as well as spring onion. 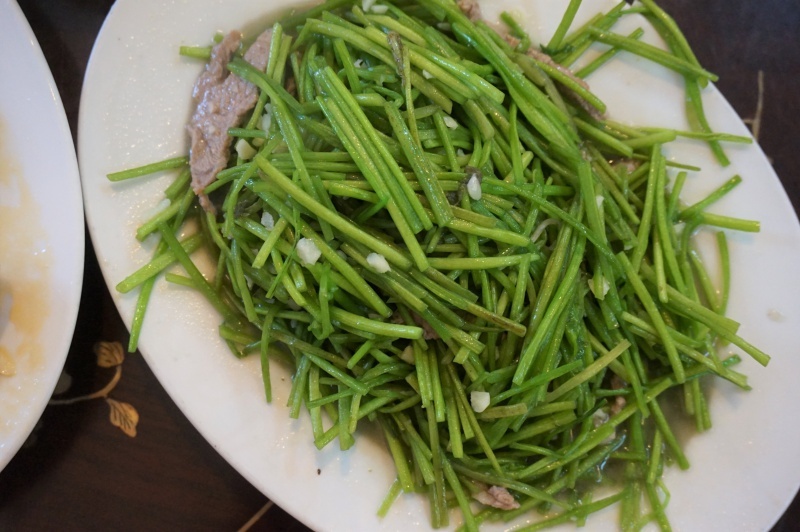 We picked the local vegetable fried lotus stems炒水蓮 and loved the crunchiness and sweetness. 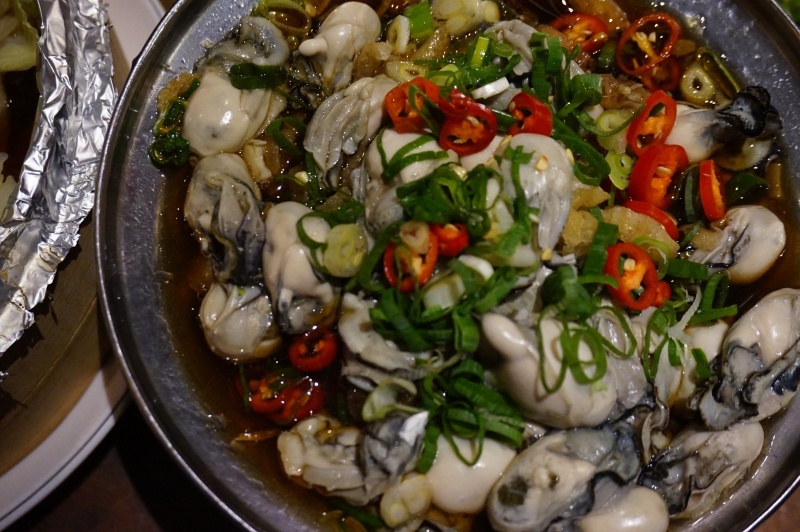 Can’t go wrong with all the seafood here, the fish was steamed to perfection with good texture and flavour. 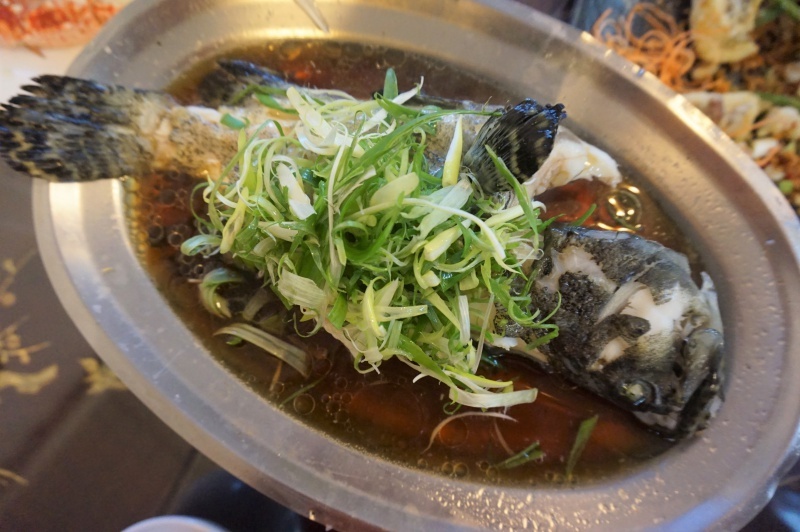 金翡翠活海鮮 prices may not be cheap but you can expect quality and freshness. However, there is no shortage of good food here with so many eateries around this area. Do walk around, and read the reviews available from the internet to make your choice. A: 新北市萬里區龜吼村漁澳路16之3號Taipei, Yuao Road, Wanli District, New Taipei City, Taiwan 207. 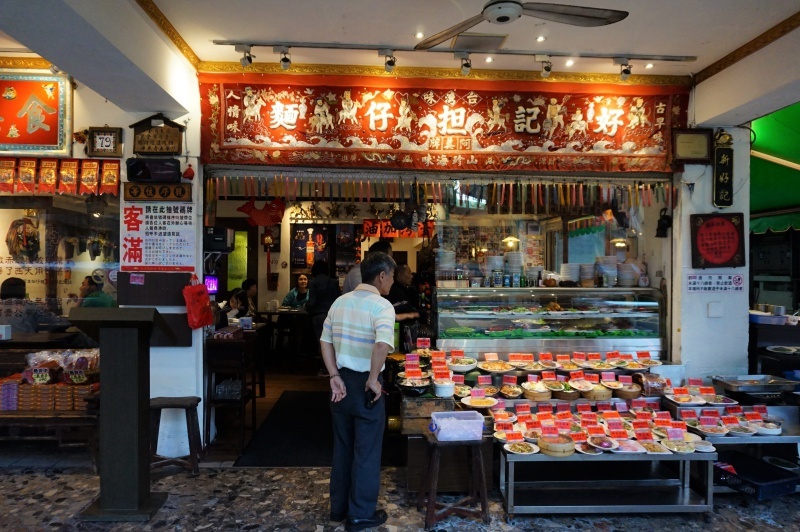 One of the popular restaurants in Taipei that is famous for the local Taiwan dishes, this is a shop patronised by many of the celebrities and we decided to give it a shot. 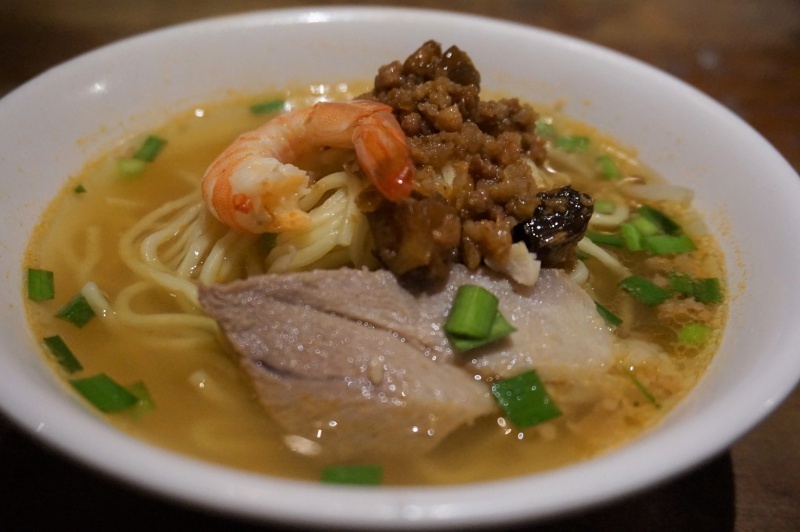 Similar to our prawn noodle but taste was mild, topped with a prawn, a slice of pork and some braised minced meat, it is the signature dish here but honestly we couldn’t fully appreciate the beauty of this dish, it was somehow missing the wow factor. Fresh, crunchy, juicy and sweet are factors that we like this dish. 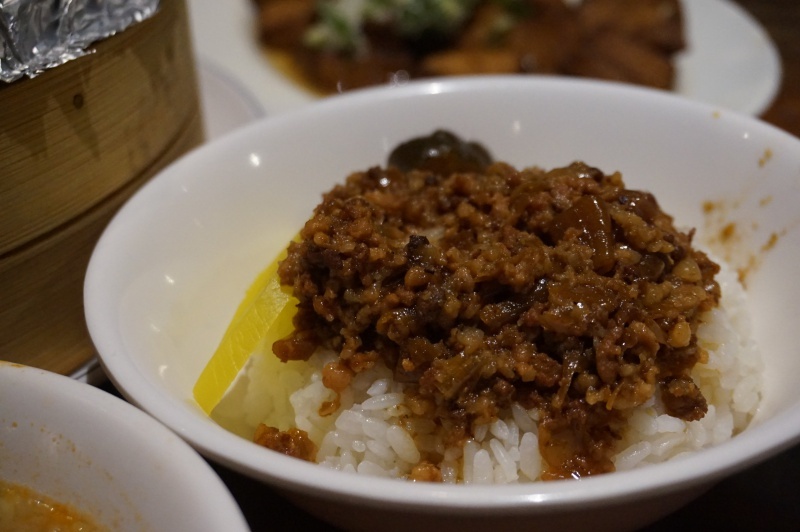 The braised pork was fragrant and paired perfectly with the short-grained and starchy rice. 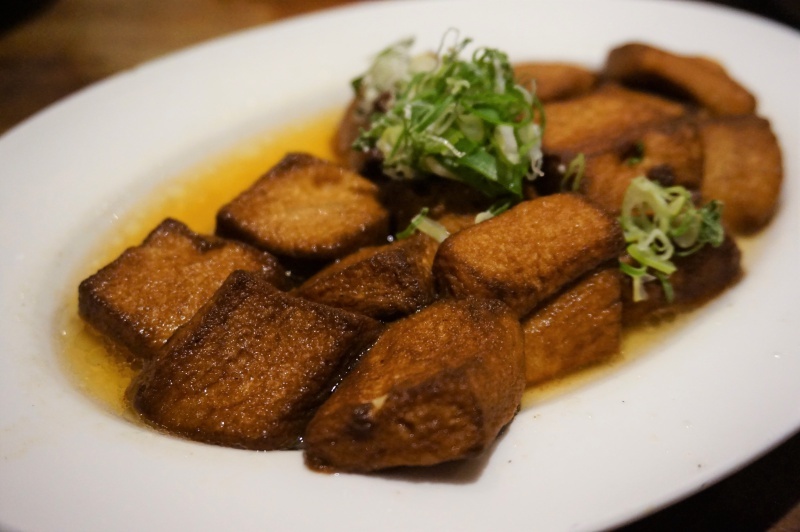 We strongly recommend the local tofu which is much refined and tasty. 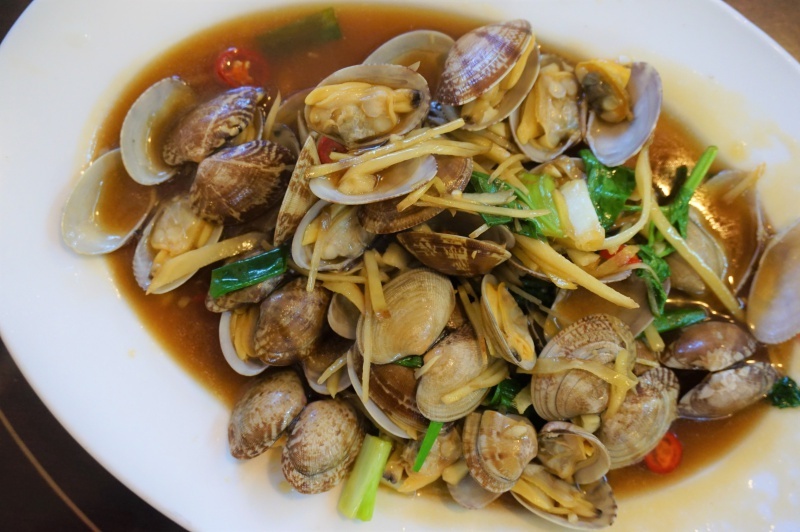 It is always our favourite for its plump, juicy and freshness, one of the seafood that should not be missed when you visiting Taiwan. Food is reasonably acceptable from the flavour and taste at Hao Ji Dan Zai noodle, however, it is not something that will blow your mind. 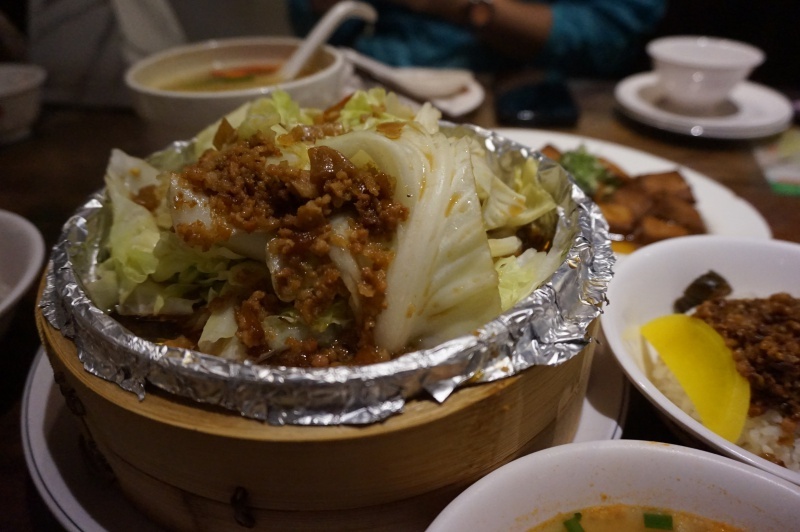 We ended the long day with a fully stretched stomach and decided to call it a day, two more days to go for the tight itinerary to explore the city and…..more food.